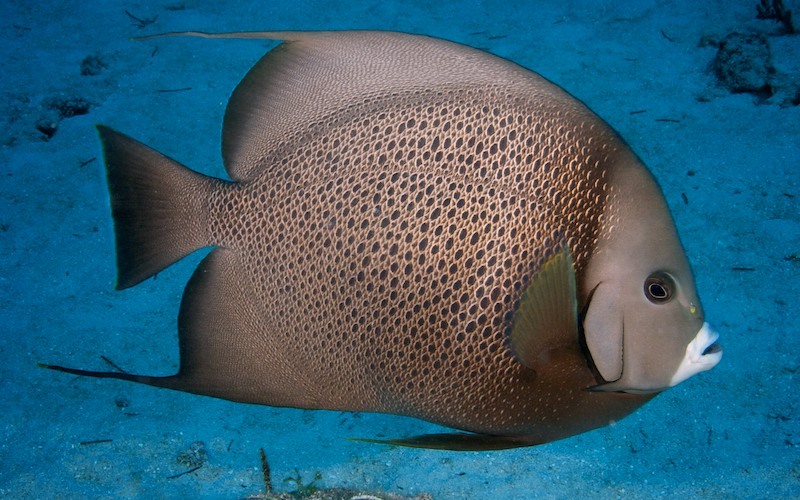 Caption: The gray angelfish or gray angelfish (Pomacanthus arcuatus) is a large angelfish of the family Pomacanthidae, found in the western Atlantic from New England to the vicinity of Rio de Janeiro, Brazil, and also the Bahamas, the Gulf of Mexico, and the Caribbean, including the Antilles, at depths of between 2 and 30 m. Length is up to 60 cm. It weighs about 2.0 kg. It feeds mainly on sponges, it is usually found in warm water, in coral reefs, and in oceans.